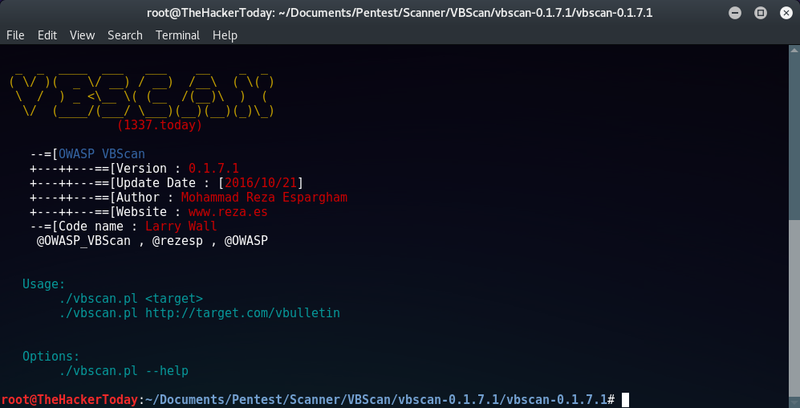 OWASP VBScan is an open-source code based on perl programming language which is used to find vulnerabilities and analyses them in VBulletin CMS. If you’re trying to penetrate vBulletin forum, First step will be finding vulnerabilities. OWASP VBScan is an right tool to try. After downloading, Now it’s time to run the file before that we need to change some permissions to run vbscan.pl file. Here’s an example how this tool works. Wow that was quick already found lot of vulnerabilities.